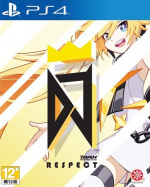 Perennially popular South Korean rhythm-‘em-up DJMax Respect will make its PlayStation 4 debut in North America and Europe on 6th March. This is a first for the series, as it’s never released in Europe on a Sony system before. It’s also the first edition since DJMax Technika Tune, which launched on the PS Vita almost six years ago. For those new to the series, this latest version is a button-matching rhythm game with almost 150 songs, and this is the first entry to feature local and online multiplayer. “To let our fans take advantage of the content in today’s HDTV environment, we’ve completely remastered the tracks and the music videos to run flawlessly at 60 frames-per-second in 1080p,” the PlayStation Blog writes. While the post goes on to describe the title as the “Dark Souls of rhythm games”, don’t let that put you off – this has been a surprisingly consistent series over the past decade or so. This looks awesome but way beyond my ability, that music is pretty sweet though! This is new to me so I will wait for reviews. Very exciting I considered importing for a long time, but decided to hold off due to pricing. This will be a day one for me. It's always fab when that happens, it's really cool that Japanese games are making there way to the west more and more frequently. For me, it's what makes PlayStation so irresistible, the combination of western developed games, mainstream Japanese games, the more niche Japanese games and exclusive games is unbeatable in my opinion. Is there any offline aspect? Or is it similar to GH where you connect and it’s a streaming video mtv style? horriby music. but should appeal to uk folks.